Has been a while since I posted a biography but, as promised, in addition to Finn Juhl and George Nelson here there’s another master of the Mid-Century design: Achille Castiglioni. Yes, this time I wanted to render homage to my country and to one of his most important industrial designer ever. Maybe not everybody know Achille Castiglioni but, if you love mid-century design, you know his works for sure! This is the perfect occasion to know a bit about who designed some of the icons of the mid-century. 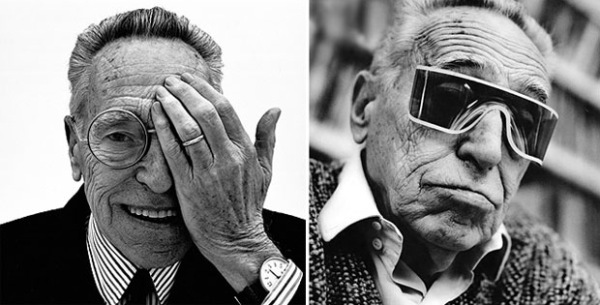 Achille Castiglioni has been one of the few Italian internationally recognized masters of design. With his work and ‘good design’ philosophy, he influenced generations of artists through the twentieth-century. Achille Castiglioni was born in 1918 and during his career he contributed to the design, or designed himself, of more than 150 objects: from lamps to car seats. Many of his designs -like the Arco and the Brera lamps- are part of the permanent collections of several museums. Achille Castiglioni had two brothers, Pier Giacomo and Livio. After graduating, Livio and Pier Giacomo opened an office in Milan designing mainly small-scale objects due to the lack of major architectural assignments of the time. After the end of the World War II Achille joined the studio as licensed architect. Livio left the office in 1952 to concentrate on lighting and sound installations. Pier Giacomo and Achille, then, closely collaborated to a large number of projects -both concentrating on the same aspect instead of splitting the work- until Pier Giacomo’s early death in 1968. Like only an experienced designer could, Achille Castiglioni knew very well the fundamental principles of his job. “Start from scratch. Stick to common sense. Know your goals and means” he said “In other words, the designer must not take for granted any previous similar object, must understand the reason for creating a new product or improving an existing one, and must be aware of the available resources”. Despite these ‘rational’ principles, main characteristics of all the Castiglioni works were paradoxes: he loved them and was fascinated by the perception and wisdom they could engender. The pivoting Sella stool is probably the most effective example: it is made of a leather bicycle seat, a tubular metal stem, and a rounded cast-iron base. The inspiration was a new behavior, the designer said: “When I use a pay phone (…) I like to move around, but I also would like to sit, but not completely” a deeper and more meaningful consequence of an object’s combined form and function. Everyday objects’ observation was often the starting point for his designs: “Design demands observation” was one of his mottoes. For example, to design the Arco lamp Achille and Pier Giacomo took inspiration by street lamps. The light source, in fact, is projected at least eight feet away from the marble base as it was coming from a normal ceiling chandelier. For the Toio lamp, instead, the inspiration was a car reflector. Achille Castiglioni had specific categories for his objects. The ready-made ones as the Mezzadro -a stool composed of a mass-produced tractor seat, a bent steel bar, a wood bar, and a wing screw- and the Toio lamp, made from a car reflector, a transformer that also works as heavy base, a formed metal handle, a hexagonal stem, three fishing rod rings, and a single screw. The redesigned ones were, instead, already existing objects that he improved or modernized basing on present necessities and technological improvements. To this category belong the Cumano small outdoor coffee table (1979), the Spirale ashtray (1971), the Brera glass globe ceiling lamp (1992) or the Comodo bedside table (1989). Beyond these classification, anyway, what is really important is that each of his designs had a story. Achille Castiglioni design philosophy can best be perceived if we also consider the cultural environment from which he was influenced and that he helped to form in turn. 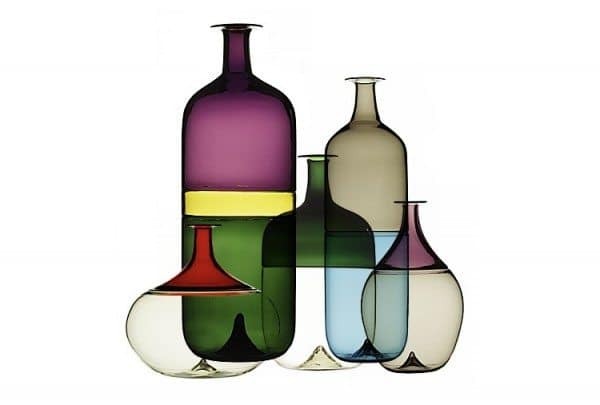 Along with his unquestionable talent, Castiglioni -like other contemporary designers/architects as Marco Zanuso or Ettore Sottsass- gain the advantage of the Italian tradition in fine arts and craftsmanship to create products to restore the country’s quality of life after the World War II. The mix of these elements made Castiglioni’s works and Italian design internationally appreciated contributing to the 1950s economic boom. Another crucial element for the worldwide success of the Italian design was the cooperation between different areas of culture. Small family-based companies with a flexible structure, an high attention to details and knowledge of the post war technological breakthroughs joined innovative and young designers. Some of this ‘relationships’ become long-term successful co-operations like the ones between Zanuso and Brionvega (television manufacturer), between Sottsass and Olivetti (typewriter and computer manufacturer), or between the Castiglioni and Flos. 1950s and 1960s economic boom allowed these new designs to become popular. While being a successful designer, Achille Castiglioni was also a teacher at the Industrial Design course of the Architectural School of the Polytechnic of Milan where he could educate tens of students to his design philosophy. He used to start every lesson with an object from his enormous collection of items found or bought around the world. Using everyday objects, Castiglioni demonstrated the power of simple, ingeniousness and seemingly unremarkable common objects. A significant example is the milking stool consisting of a round piece of wood as a seat with a round incision into which fit the single wooden leg. Both parts were held together by a strip of leather, so that the stool could be carried over the shoulder. Castiglioni, then, standing on a table milked an invisible cow miming the stool’s use proving how objects have a life of their own being independent of any designer’s name. He also wanted to stimulate his students to explore the design and its potential themselves starting from objects based on common sense and available resources. “What you need is a constant and consistent way of designing, not a style.” Castiglioni used to say. His way was based on observing and understanding objects imagining need results in a satisfying design solution. To see some of the designs he did, have a look at the Achille Castiglioni official website. 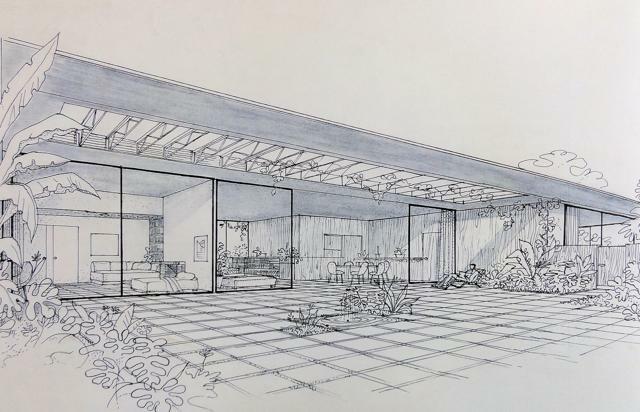 As always I want to remember you that to know even more about Mid-Century modern design, you can join the free weekly mailing list. You will only receive original content about mid-century that I don’t publish on MCH. Don’t wait and join the mid-century enthusiasts community, now! Of course you can find MCH also on Facebook and Twitter.